Kelli Joseph was most recently the Senior Corporate Director of Human Resources for Wyndham Hotel Group’s managed properties, overseeing the human resource function for 60 hotels and approximately 7,500 associates in the U.S., Canada and Caribbean. In this role, Joseph was responsible for promoting the company’s culture, ensuring hotel teams comply with all federal and state regulations and policies, recruiting and developing talent and implementing succession planning initiatives. With over 20 years of human resources experience in the hospitality industry, Joseph joined Wyndham Hotel Group in 2009 as a corporate talent acquisition recruiter. Prior to WHG, she served as a complex human resources manager for Aramark where she led human resources functions for over 1,000 union and non-union employees at two major sports and entertainment arenas. In addition, she has also held various corporate and regional human resources roles with Pyramid Advisors Hotel Group, Wyndham International and the former Strawbridge’s Department Store chain. 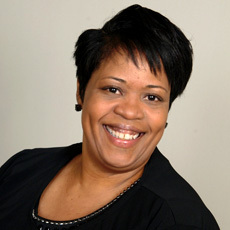 Along with her experience, Joseph earned a Bachelor’s Degree in Communications from Pennsylvania State University in University Park, Pennsylvania and has continued her studies in Business Management and Organizational Development at the university’s Great Valley School of Graduate Professional Studies in Malvern, Pennsylvania.